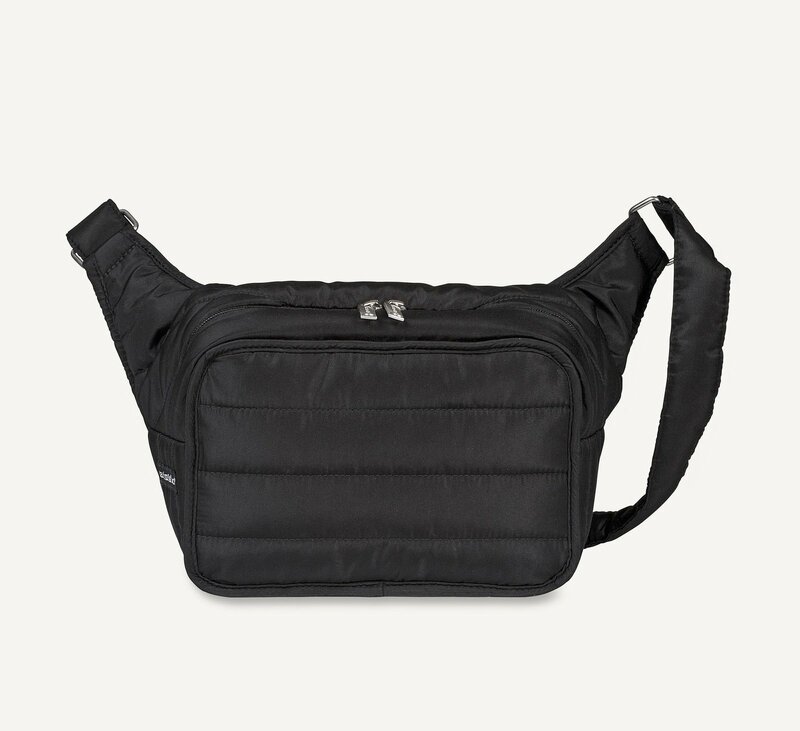 The Billie bag in black is a versatile quilted shoulder bag with a polyester filling. The bag has a zip top closure and an adjustable shoulder strap. The back panel features one snap button pocket with a zipper pocket on the inside for small valuable items. There are three pockets on the inside of the bag, one of which closes with a zipper.